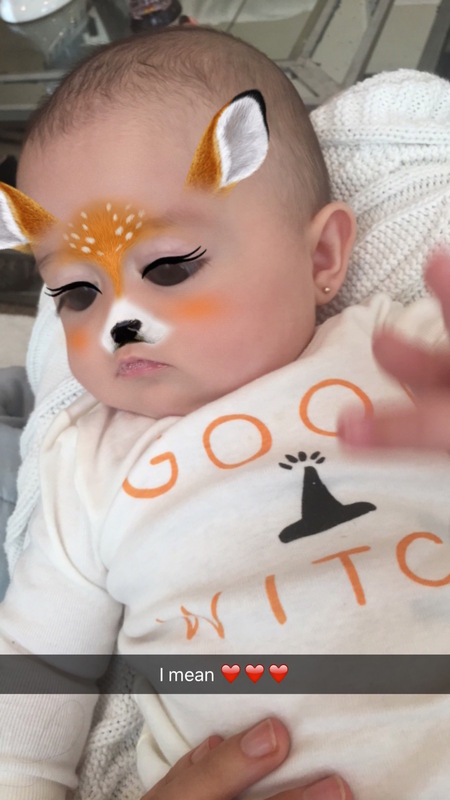 I had a lot of you ask about our little Halloween outfits here & there from IG & Snapping (PS follow us on Snapchat: BrittanyMaddux if you aren’t already). So, I decided to do a little post about everything and where I grabbed it all. I got most from Old Navy because they were having the best sales at the time but Gap also had a couple things I grabbed. I love the holidays! Ok I LOVE THE HOLIDAYS! Maybe too much, nooo that’s not possible. So I like to go all out! I want my kids to have the best time and remember them as well. To this day I could still tell you our family traditions growing up, the smell of chili, and the outfits we wore all month long! 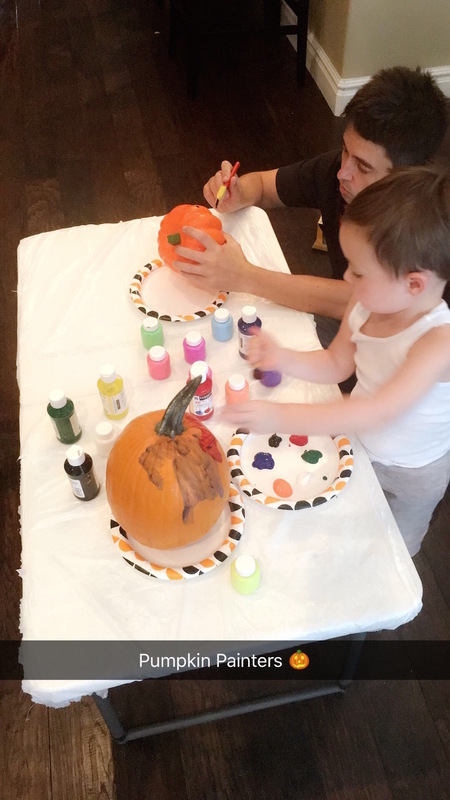 Mason was SO excited when helping decorate for Halloween! I love this because then he gets just as into it! 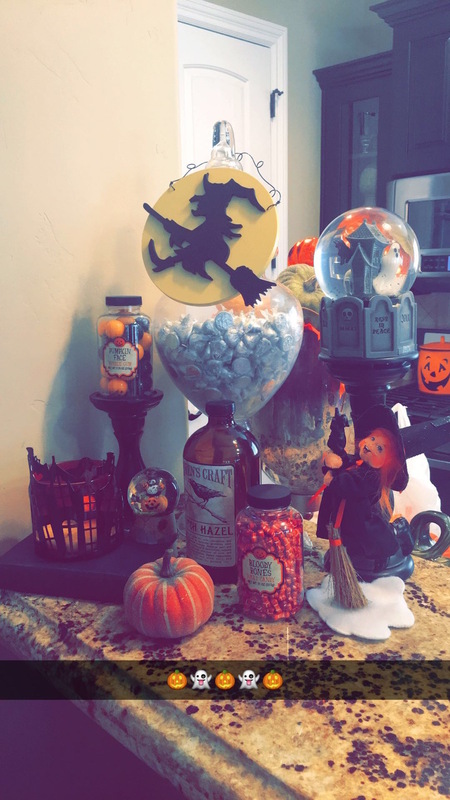 He is continuing to move around decorations and doing his own little setup but hey, it’s for the kids anyway right? A couple asked out the little Pumpkin baskets I did for the kids. I think I only snapped it but here is the DL. I simply grabbed a bunch of things Mase would love from the dollar spot at good ol’ Target. 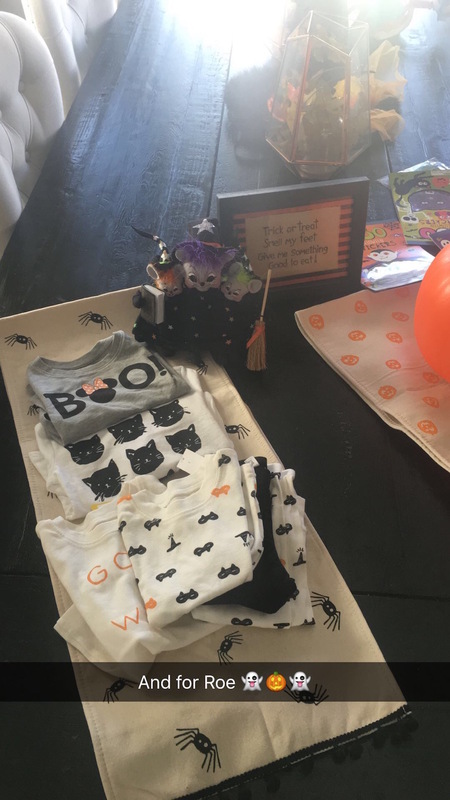 I got stickers, window clings, spooky pens, fork & spoon set, socks, and 2 sets of PJs. I kept it simple but things I knew he would love. As far as Monroe goes I just got her the PJ’s & shirts (not that she will know right now anyway, haha). We call it the Great Pumpkin gift! Mason is in love with Snoopy & Charlie Brown so we love the Great Pumpkin movie & book. It’s an easy family tradition to keep going and keep simply. We do it on the 1st of October easy peasy! Last but not least I have added a Bucket List for Fall at the bottom! 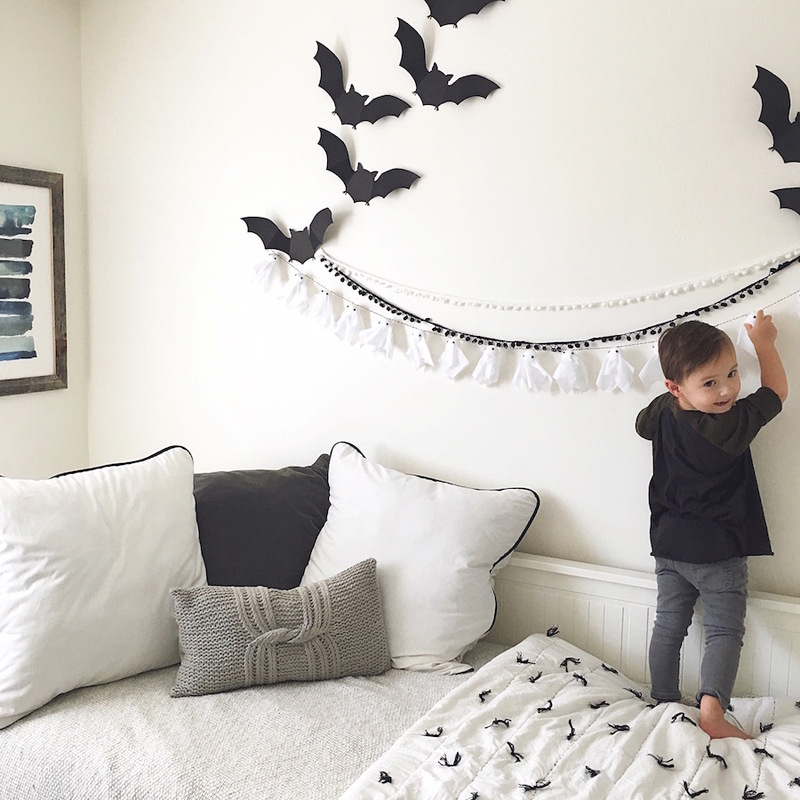 I love decorating the kids room but want to make sure it’s not too spooky and they won’t be scared in the middle of the night. I also don’t shop for the kids rooms. I simply see what we have left over after decorating the house and keep things aside that we already have that I think would be appropriate for their rooms. 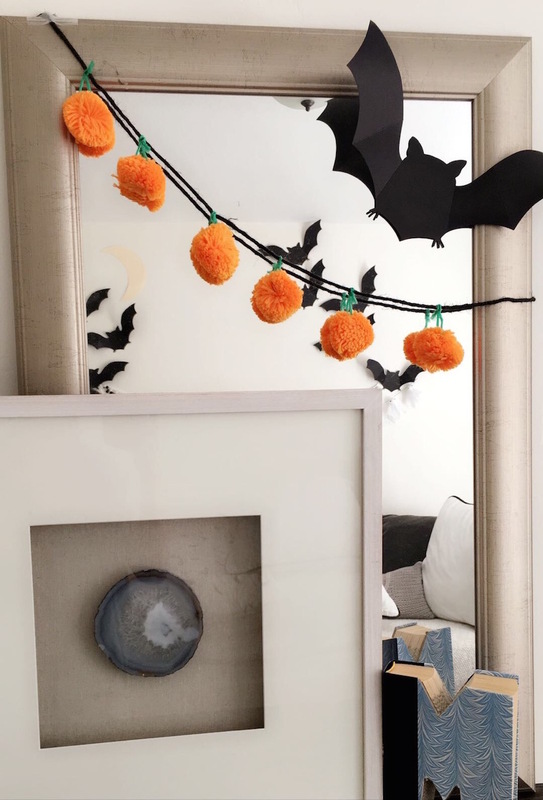 In Mason’s this year we simply used a Ghost Garland, Pom-Pom Garland , and pumpkin garland, Pre-Cut Out Bats, I made a moon out of business folder, and simple Pumpkins. He loves it! It is just enough for him to feel special. But I don’t have to worry about getting woken up int he middle of the night from him being scared! Be realistic! Don’t over do it and keep it appropriate for your kids age. I only say this out of experience. 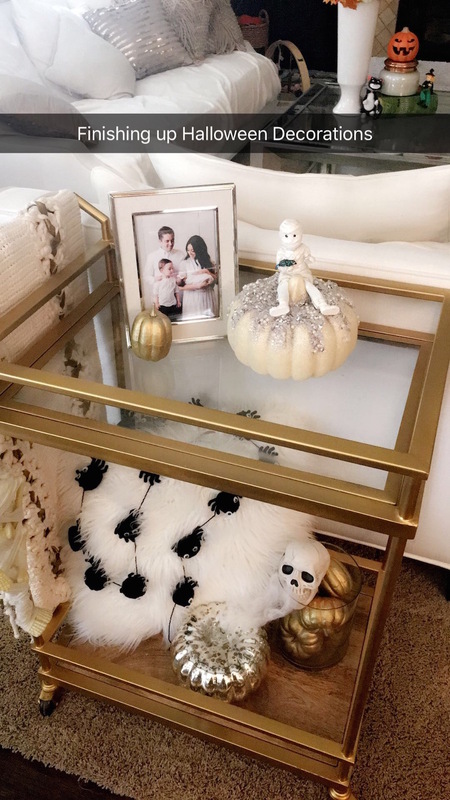 I’ve over done it and Mason didn’t even care – honestly the child is 3 he was to dress like a skeleton, play with stickers, and paint pumpkin. Buy things on sale. 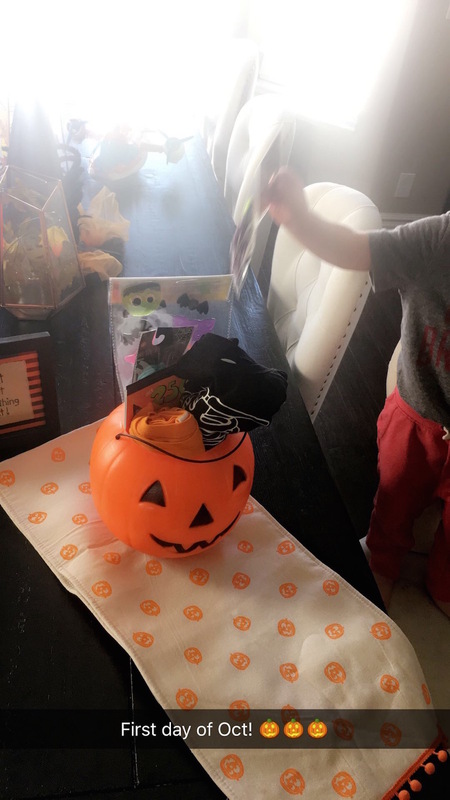 Many of the things I had from Mason’s bucket were things I got last year after Halloween and just packed them up with the decorations this year for his Great Pumpkin. I will do this too this year as far as PJ’s go I just wasn’t that on top of it last year. Stick with things that are useful. Things that you would end up doing, buying, and decorating with anyway. Also I like to stick to activities. I like to talk to Mase about things he wants to do and we make a list/plan. He will be the one to remind me but he gets so excited! I will do another post this week about activities/ideas. I love getting into the holiday spirit as well but don’t want to over do it. So, I pick out a couple easy & cute things! Good luck finding something! Love the post! I want to buy all of those comfy hAlloween outfits! Thanks for sharing All the goodies! This is the cutest post! i love how cheerful it made me feel, and i’m not the biggest halloween fan lol. Great ideas and fun outfits! Beautiful post! Love your pj’s so much! 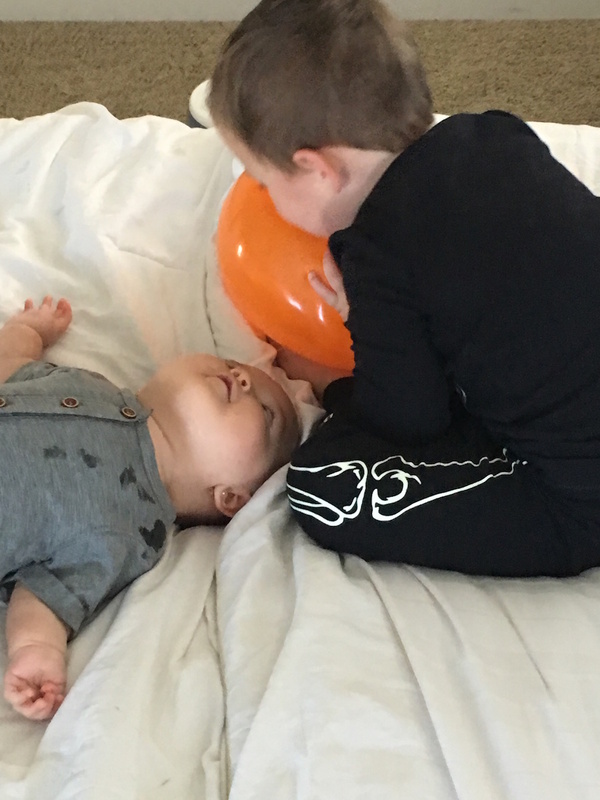 Your kids are so sweet!